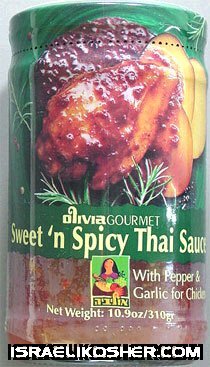 a rich blend of sweet and spicy flavors from the far east, for basting and grilling chicken until golden brown, right before serving. also to be used to dip the cooked chicken in this yummy thai sauce. 10.9 oz made in israel.